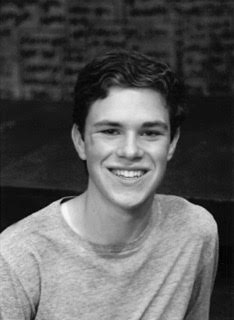 Grayson Peters is a senior at Hume-Fogg and proud to be the Co-President of Livable Schools. He and Alex founded LS to ensure that students got a voice in the sustainability conversation, and it has taken off! In the future, Grayson plans to major in Environmental Science in college and go on to support future sustainability efforts, both in school and beyond. Outside of Livable Schools, Grayson is a part of the School for Science and Math at Vanderbilt, a high school student research program, and works with Urban Green Lab on community projects. He is a National Merit Semifinalist, varsity soccer players and occasional actor. You may find Grayson outside relaxing or taking photographs, hiking, and enjoying nature. He is excited and honored to be a part of the Livable Schools Leadership Team, and can’t wait to see where LS goes from here! Schools. Upon learning about his city's sustainability plan, in May 2017, environmental education and initiative in schools. Sarah Matthews is the chair of the Mobility committee of the Livable Schools Council at Hume Fogg High School. Sarah is the only junior on the council, and she is passionate about conservation and sustainable living. Environmental education and awareness fueled her motivation to take part in the Hume Fogg Environmental Club leadership and Livable Schools Council. Outside of her environmental involvement, Sarah is a voracious reader and a cellist in the Hume Fogg Orchestra and the Tennessee Youth Symphony. Sarah is passionate about giving back, and she regularly volunteers with the Nashville Public Library, as well as the Nashville Zoo and Room in the Inn. Sarah is thrilled to be a part of the pioneer effort to make Metro Nashville Public Schools sustainable, and eventually strengthen the sustainability of Nashville as a whole. Lizzy Gaviria is a senior at Hume-Fogg Academic High School and focuses on Natural Resources in the Livable Schools Committee. Throughout her time in school, she has a developed a passion for the environment, science, and green living. Her classes have inspired her to pursue environmental science in college. As part of the Livable Schools Committee, she is thrilled to engage students in Nashville with activities that will promote a healthy environment. She hopes to bring her experience in class and work with the Tennessee Environmental Council together to teach others about sustainable practices that will help them lead healthy, environmentally-conscious lives. In addition to these activities, she enjoys art, dancing, and nature. You may find her outside hiking, taking pictures, visiting the farmers’ market, or volunteering at the Frist Center of the Visual Arts. Hey, I’m Kaytlen Cruz and I’m currently a senior at Hume-Fogg High School. I have an avid interest in environmental issues, especially when it comes to stewardship and sustainability. I believe that youth initiative is the key to protecting the environment and all the resources it provides. I got involved with Livable Schools as the chair for the Waste Reduction and Recycling Committee because I wanted to be directly involved in action aiming for sustainability. It is youth who will grow to inherit this Earth, so it is our job to do what we can to better the health of the Earth for future generations. Katie Madole is a freshman at Hume Fogg High School and is excited to serve the Livable Schools Leadership Team this year. Katie enjoys teaching students about Livable Schools and environmental sustainability. She is passionate about preserving the environment. She has been fortunate to learn from the upperclassmen on the team. Katie hopes one day to do the same for her peers. Katie is also a student at the School for Science and Math at Vanderbilt, a high school student research program. Outside of school, you may find Katie performing in local children’s theatre, hanging out with friends at a coffee shop or singing. She is an active member of her regional camp and a teen singing group, Girls Up Loud. She is honored and thrilled to serve on the Livable Schools Leadership Team and can’t wait to see how it grows during her four years! 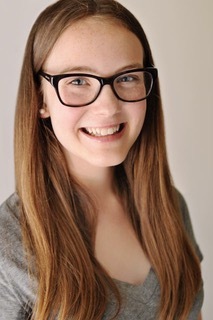 Grace McKennon is a senior at Hume-Fogg Academic Magnet High School and is the Chair of the Climate and Energy Committee for the HUme-Fogg Livable Schools Council. Grace has been interested in environmental science since the seventh grade and plans on it being her major in college at Northeastern University. She is taking AP Environmental Science this year to learn more about the subject and foster her passion for the environment. Grace got involved with Livable Schools as soon as she heard about it, and showed interest in taking on a leadership position and chose to be the Chair of the Climate and Energy Committee. As the Chair of the Climate and Energy Committee, Grace has been working to reduce Hume-Fogg’s overall energy usage and try to steer the school towards alternative forms of clean energy. Her goals include educating the student body about energy, switching to LEDs, getting rid of teachers’ mini-fridges, and keeping energy costs for the school at minimum. Aside from her involvement with Livable Schools, Grace enjoys art, swimming, and nature. She frequently volunteers at the First Center for the Visual Arts, serves as the President of the Sister Cities of Nashville Youth Advisory Board, participates in the Hume-Fogg swim team, and babysits for various local families.